3. 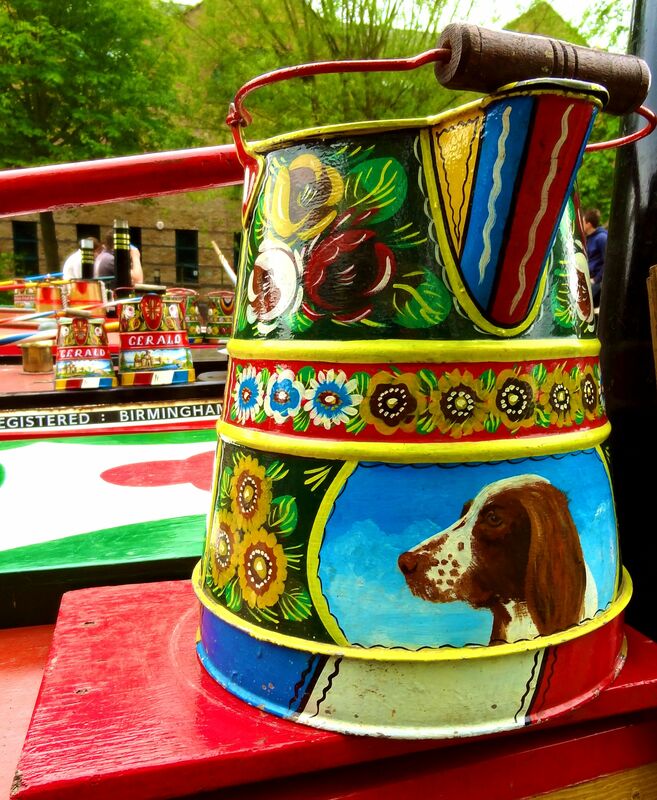 Braunston Historic Boat Rally 2014 – The Glorious Cans! I’m a Can Fan! I can’t walk past a Water Can sitting on the roof of a narrow boat back cabin and not pause to admire it. Braunston this year provided the usual rich pickings. There are usually more amateur painted and ‘heritage’ Cans at Braunston and they’re the ones that I’m particularly interested in. Having laid out my stall (HERE) it’s now time I got down to the business of actually painting-up a piece of tinware using images and styles drawn not from Victorian influences but my own world of twentieth (twenty-first?) century influences. The first step is perhaps the simplest – find an object. In that I’m pretty lucky in having lying around a number of enamelled pots and jugs that’ve served as test pieces for painting over the years. I’ve chosen a bright red coffee pot. 2013 Braunston Boat Show 3. Around the Rally site, on the top of the majority of boats were Water Cans – flaking and damaged, with chipped and faded painting some Cans hinted enigmatically of former glories; there were quirky and mischievous amateur Cans and there were confident and tight professional Cans. A vibrant show. I can’t leave the ‘Ricky’ behind without sharing some of the wonderful painted ware that was on show on a wide range of boats. Professional and amateur efforts creating a colourful celebration of, what is for me, a wonderful art form.